It’s cliche, but recovery starts at the moment that something bad happens. If you fall down and break your leg, nobody says “oh, just wait a bit before getting medical attention”; you get the help that you need when you most need it. In a disaster, there is almost unanimous agreement that recovery starts as soon as the incident happens. I fundamentally agree with this, and in a broad sense even response activities can be classified as ‘recovery’ interventions of some sort. However, in the typically process-dominated world of emergency management (in the UK at least) this mantra that recovery starts at the outset of the incident is, in my opinion, both misinterpreted and over simplified. Let’s revisit the broken leg scenario – yes you get help, but you don’t skip straight to physiotherapy…you need time to heal first. As I’ve been working on the planning for Exercise Unified Response I’ve been frustrated by comments from colleagues insisting that because we have this mantra, that there should be recovery meetings from the outset. 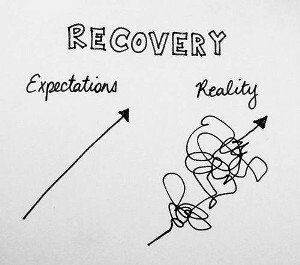 On one hand I agree with the philosophy, but on the other hand in practical terms surely you need to understand what it is you’re recovering from before you try to attempt recovery? In my experience it’s rare that the precise impact of an incident is understood from the outset. Indeed, the likelihood of cascading failures and secondary incidents means that in some circumstances the initial incident isn’t even the biggest concern from a recovery point of view. Provided that response actions are effective and appreciative of longer-term prognosis, I think you can afford to take a breath before formally implementing structures contained within your long-term recovery plan. In the emergency phase lots of decisions need to be taken in sub-optimal conditions. It’s surely doing a disservice to the objective of long-term recovery to take decisions which have wide reaching implications without a more well developed understanding? I’m not advocating ‘not doing recovery’, if anything it’s one of the most important aspects. I’m just saying do we need to rush into recovery at the same speed as emergency response, or should it be more considered? Would it help to view everything that happens after the incident as ‘recovery’, but that recovery needn’t rely on the activation of a specific plan? That sometimes the rigidity of the structures that have been developed can be a constraint? There you have it, my first blog in ages, and I’m posing what I expect is a fairly controversial question! I’d be interested in your views about the practicality of when recovery can actually start! Unified Response: did I follow my own advice?